As I compiled the latest rare book exhibition at the Lenhardt Library, I got to know several fascinating women from the past. They were among the first women to be recognized as botanical illustrators, and their work opened doors for generations of women to follow. The exhibition, Feminine Perspective: Women Artists and Illustrators, running through November 10, traces the development of women in the field of botanical illustration from at-home hobbyists to professional artists who were published under their own names, with their works represented in the respectable journals, displayed in galleries and art shows, and accepted professionally. Rigid-leaved gorteria (Gorteria rigens) by Henrietta Moriarty from the Rare Book Collection of the Lenhardt Library of the Chicago Botanic Garden. For Henrietta Moriarty who published in 1807 London, botany was a moral dilemma. The renowned botanical theory of plant classification by Carl Linnaeus discusses plant reproduction and reproductive plant parts; the material was decidedly not appropriate for a proper Victorian woman and outright dangerous for a young girl. Moriarty solves this moral dilemma by writing and illustrating her own book, Fifty Plates of Green-House Plants, Drawn and Coloured from Nature, with concise descriptions and rules for their culture. Intended for the improvement of young ladies in the art of drawing, second edition, 1807. 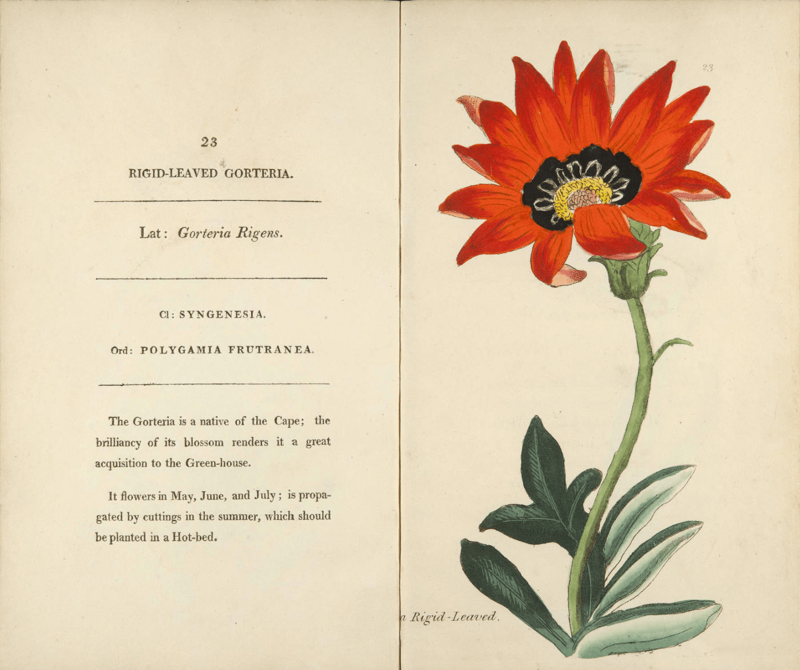 Her 50 botanical illustrations are each hand-colored and focused on the beautiful flower with a botanical description but lack any discussion or representation of plant reproductive processes. 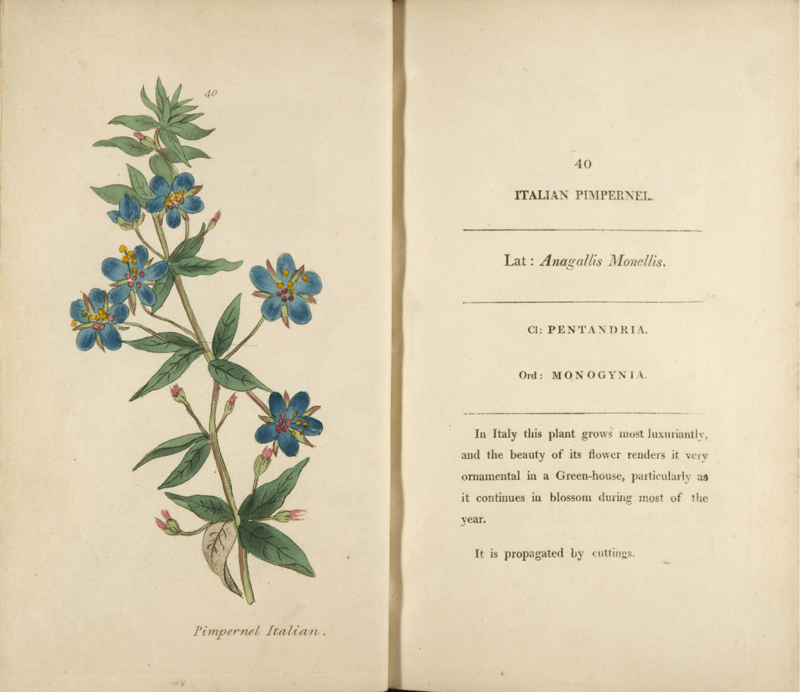 Moriarty, a widow with children, needed to support her family and found writing and illustrating a botany book to be productive. She presold 180 copies by subscription. View each page of this lovely book online at the Illinois Digital Archives. For a schedule of upcoming exhibitions and library talks, click here.